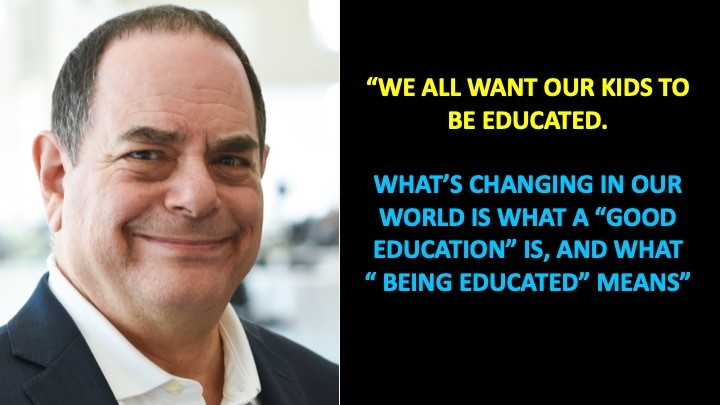 My personal goal—and the goal of the Global Future Education Foundation—is to help a new form of education emerge in the world—an “Empowered to Accomplish” education. 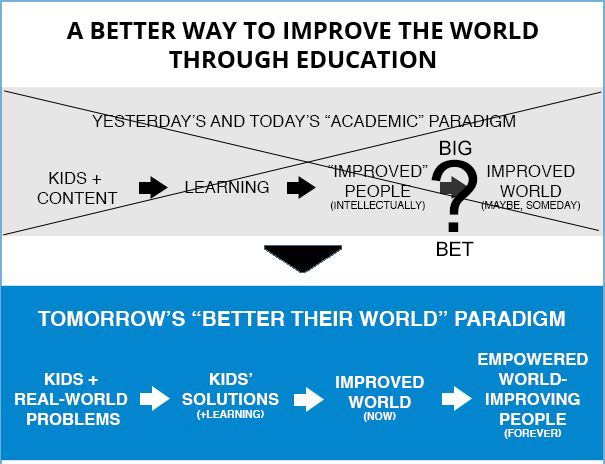 We want to help students, parents, educators and politicians understand that there is now a clear and better alternative to our current, failing, academic education, and that we no longer have to keep trying to incrementally “fix” this outdated education for our future world and kids. 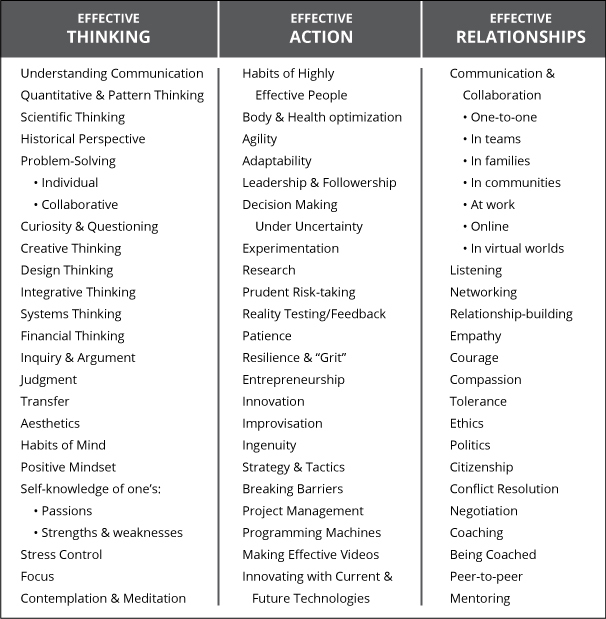 to begin the development of all the life-long skills that fall under the four crucial headings of Effective Thinking, Effective Action, Effective Relationships & Effective Accomplishment, i.e. the full range of skills that people need for success at any endeavor. This new kind of education—that far better fits the world and students of tomorrow—is currently emerging in pockets around the globe. Our aim is to conceptually align all the emerging implementations of this new kind of education into a powerful force for educational change—making the new, alternative choice clear to the world’s students, parents, educators and politicians. We are doing this through the Global Empowered Kids Network. We do not seek to promote any single implementation or version of the new paradigm, or to replace all the academic education in the world. Rather, we seek to demonstrate that there is a serious and viable new, alternative education now available for young people—an “Empowered to Accomplish” education—that parents, educators and politicians can choose and accept as an equally valid way—and in most cases a better way—to educate the children of today and tomorrow.